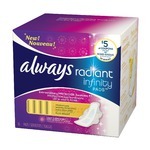 By far my favorite tampons! Most comfortable by far and so nice how they open up in a circular shape and form fit to your body unlike tampax which opens in a huge rectangle and I find uncomfortable! Only downside is the crazy amount of plastic they use and waste! The way the world/environment is going, I'm thinking of switching to a menstrual cup or tampons with less packaging! The only brand I’ll use! I have tried many tampons out on the market and none of them seem to fit my body like playtex does. It has an easy gentle glide applicator and goes in easily. Love the different absorbency ones from regular to super plus. Covers every day of my cycle. J’ai essayé plusieurs marques de tampon et la seule marque qui me donne un confort total et qui est très absorbant, c’est les produits de la marque Playtex. Ce sont les seules tampons que j’insère sans ressentir de douleur! Je les ai définitivement adoptés depuis très longtemps! I have always used another well known brand, and they were good enough. Never had any real issues, but I did notice that the way they expanded inside made them sometimes uncomfortable. I honestly thought that was just part of tampons. I randomly one day Googled best tampons for heavy flow as mine is extra heavy, and I was surprised with how low the normal ones I use were. These were the second best, so figured I'd give them a try. Wish I did sooner! 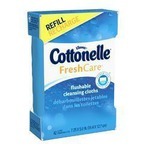 They work just as well as the other ones, price is similar, but there is absolutely no discomfort at any point. I do notice that some more fibers seem so come off the tampon upon taking it out than the other ones which I'm not wild about, but I can get past that. Love these tampons. Have tried so many and these so far are the best. Smooth applicator and amazing protection. Great price and the multi packs are the best. Playtex tampons are the only brand I can use without discomfort. I was so disappointed when they stopped making the light absorbency ones. I can't recall ever having leaks with these, I have been using them for almost 20 years already (yikes!). 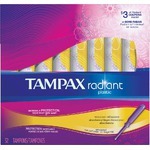 These are definitely my favourite Tampons . I can't use certain brands or sizes because it hurts me and these don't at all. No leaks and just an easy comfortable glide and can barely feel it which is always a plus . 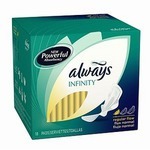 These are great tampons. After giving birth it was extremely uncomfortable to be comfortable during my periods. Gentle Glide Tampons are exactly that: Gentle! No more pain and maximum protection. I really like these tampons. They are so easy to use and pretty effective at preventing leaks. Extremely comfortable, you don't even notice you have one in. Great that they offer combo boxes so you can get two sizes in one to adjust to your changes in flow. Playtex Gentle Glide Tampons are the only brand I would ever recommend or trust. You can always count on them to do their job, they will not fail you!